In this Thursday, March 22, 2018 photo, Pakistani militant leader Fazlur Rehman Khalil, speaks to The Associated Press, in Islamabad, Pakistan. 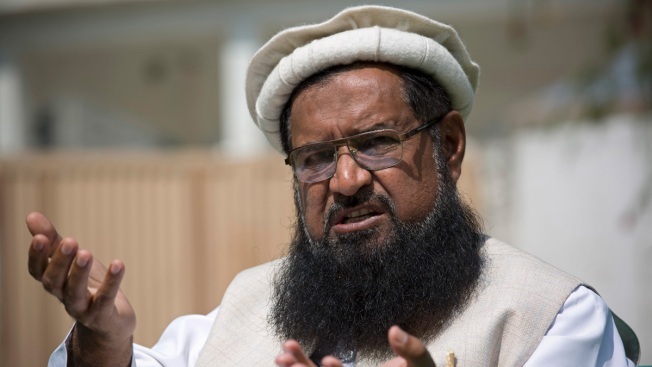 Khalil, whose group Harakat-ul-Mujahedeen, now known as Ansar-ul Ummah, is on the US designated terrorist list, tells of a fatwa he helped craft outlawing violent militancy in Pakistan. Yet just his mere presence on the outskirts of the Pakistan capital has analysts questioning Pakistan’s readiness to rout militants and their followers from its territory. He is crisscrossing Pakistan championing a fatwa, or Islamic religious decree, forbidding militant violence inside the country. But the mere fact that Fazlur Rehman Khalil, veteran leader of an organization designated as a terror group by the U.S., is free has experts questioning Pakistan's willingness to fight extremism. Khalil, once a close friend of the late al-Qaida chief Osama bin Laden, co-founded Harakat-ul-Mujahedeen, a group accused by India of attacking its forces in the Kashmir region and by the U.S. of training militants and carrying out attacks in Afghanistan. The group has undergone several name changes over time and is now known as Ansar-ul Ummah. But authorities have left him alone. At his home on the outskirts of the capital, Islamabad, the gates are protected by a burly, bushy bearded guard whose automatic rifle is always at his side. Khalil's madrassa, or religious school, named for Khalid bin Al-Waleed, one of the most prominent early Muslim commanders leading the conquest of Iraq and Syria in the 7th century, occupies a sprawling compound next door in the middle of a crowded market. In an interview with The Associated Press, Khalil denied the accusations against his group and he applauded the fatwa, which he joined other Sunni and Shiite religious scholars in writing, denouncing militant violence in Pakistan as against Islam. The fatwa, issued in January, is the first such decree issued by such a broad range of scholars in Pakistan. "Terrorism, suicide attacks, blasts, and killing of innocent people are forbidden in Pakistan, in accordance with Sharia (Islamic law)," Khalil said, dressed in a starched white traditional shalwar kameez and looking relaxed on the manicured lush green lawn of his compound. "Religious scholars belonging to different schools of thought are unanimous on the issue and are against terrorism." Afghanistan has criticized the fatwa because it is specific to Pakistan. Khalil said Afghan President Ashraf Ghani should call Islamic scholars in his country together to issue a fatwa of their own. He offered to go to Kabul to help craft the fatwa. "If Ghani does this we will support his initiative. We wish he would do it. If Afghans sit with us we will support them," he said. Since the beginning of the year Pakistan has come under relentless pressure from the United States to crack down on militants, particularly the Haqqani network, it says has found safe havens in Pakistan. While Islamabad denies organized havens, it says insurgents move around among the 1.5 million Afghan refugees still living in Pakistan. U.S. President Donald Trump in a blistering New Year's day tweet accused Pakistan of "lies and deceit" and later suspended hundreds of millions of dollars in military aid. The 55-year-old Khalil's stature in the militant hierarchy has waned since the late 1990s, when he signed on to bin Laden's fatwa ordering the faithful to attack U.S. interests wherever they found them. Still, his organization's publications are used to raise money and have exhorted the faithful to fight in Afghanistan, where the Afghan National Army, backed by the U.S.-led coalition, is struggling against a resurgent Taliban. That sort of fundraising has contributed to the likelihood that Pakistan will be placed on a so called 'gray list" of countries doing too little to stop terrorism when the Financial Action Task Force, an inter-government group trying to stem terror financing, meets in June. The U.S. State Department in 2014 said Khalil's group still runs training camps in eastern Afghanistan. In 2016, Indian security forces said they arrested five Harakat members on its side of the disputed Kashmir region, allegedly planning attacks on Indian dignitaries. "This is someone who had close and direct ties to Osama Bin Laden, and is very plugged in to the militant networks of South Asia," said Michael Kugelman, deputy director of the Asia Program at the U.S.-based Wilson Center. "Even if he's not making much noise, he shouldn't be taken lightly." Khalil dismissed U.S. criticism of Pakistan for allowing militant leaders to roam free. "Whether America likes it or doesn't like it makes no difference to me. I am Pakistani. We have courts. We are not U.S. slaves," he said. "If Pakistan has any charges of terrorism they can summon us. I am ready to go to court. The U.S. is not interested in courts, it is pressing for extra-judicial actions," he said. Khalil called U.S. policy confused and contradictory. He dismissed suggestions that the Haqqani network, which the U.S. has declared a terrorist group, is separate from the Taliban, which has not been declared a terrorist group to leave open the possibility of future negotiations. "You can't separate the two. ... Taliban and Haqqanis are the same," he said. "Sirajuddin Haqqani is the Number 2 in the Taliban. How can you separate the two?" Khalil, like many militants in south and southeast Asia, traces his career back to Afghanistan during the Soviet Union's occupation in the 1980s. Then he fought on the side of the United States, which backed the mujahedeen — or, as President Ronald Reagan called them, "freedom fighters." Today, many have joined the Afghan Taliban. Khalil said U.S. intelligence trained him on the sophisticated U.S. Stinger anti-aircraft missiles that historians say turned the tide of the war. The Soviets withdrew in 1989. "I have fought with the Americans in Afghanistan," he said. "But I haven't gone to Kashmir for a single day." Analysts say Pakistan's policy of allowing militants their freedom is mostly motivated by its concerns about India, against whom it has fought three wars, two of them over Kashmir. Pakistan also repeatedly reminds the United States and its critics that it has lost thousands of soldiers — more than the U.S. and NATO combined in Afghanistan — fighting militants on its territory. It says U.S. criticism is unfair and an attempt to put its own failures in Afghanistan on the shoulders of Pakistan. 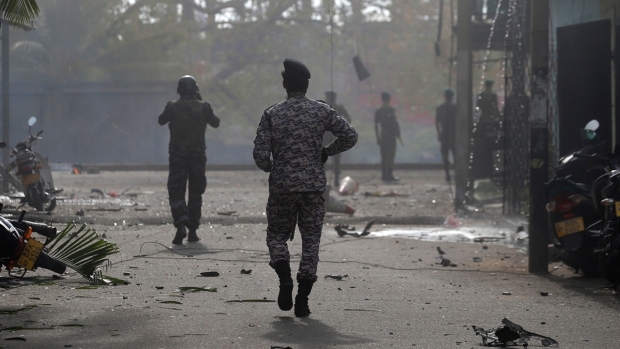 "Pakistan has certainly taken aggressive action against some militant groups" said Seth Jones, director of Transnational threats Project at the U.S.-based Center for Strategic and International Studies. But its intelligence agencies "continue to use some militants as a tool of foreign policy in countries like Afghanistan and India."